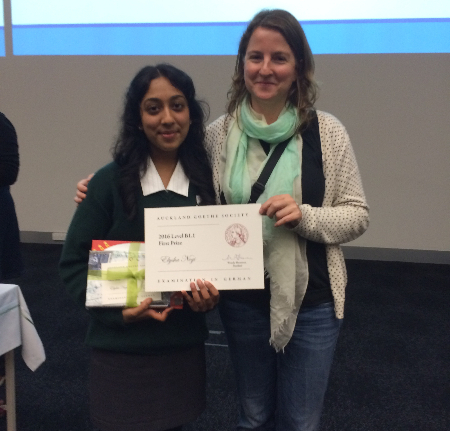 Congratulations to Elysha Negi (Year 13) for gaining First Prize in the annual Auckland Goethe Society Examinations. Elysha received her award at the Prize Giving ceremony at the University of Auckland on the 22nd of September and is pictured with her teacher Ms Heike Zimmer. Another commendable achievement was made by Saloni Jindal (also Year 13) who received Third Prize overall. Altogether 64 Year 9 to Year 13 students from Lynfield College participated in the examinations in Year 2016 with 35 students gaining a Diploma of Excellence or Prize of Distinction. 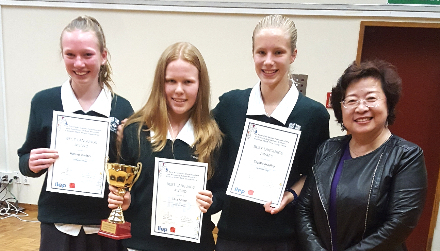 Year 9 students Sophie Bradley, Harriet Barber and Lara Milne won the Best Language Award in the inaugural New Zealand Intermediate and Secondary School Students' Chinese Short Film Competition. The prizegiving has just been held and we congratulate the girls on this significant award. On Tuesday 6 September a powhiri was held at Te Ringa Awhina Marae for Dr Paula Morris (University of Auckland) an award winning Novelist of Ngati Wai descent. 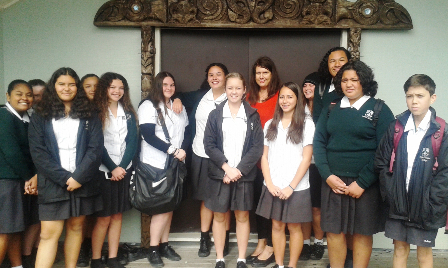 She spoke to our tauira Maori and students taking Te Reo as a subject about the importance of writing and gave specific tips on how students should start their journey in writing. Dr Paula Morris spoke about her novel Rangatira (Penguin, 2011) and her Tipuna Paratene (this book won the fiction categories at the 2012 New Zealand Post Book Awards and Nga Kupu Ora Maori Book Awards). Dr Morris will be travelling to Africa in the next fortnight to research for her next book. We would like to thank her for taking the time to visit our Marae and speak with us. Henry Samuels presented a taonga as a symbol of our gratitude to our special guest. He mihi manaaki ki a koe e Takuta Paula mo to korero e pa ana ki te whakahirahiratanga o nga pukenga tuhituhi me nga pukenga panui. Harriet Barber, Sophie Bradley and Lara Milne of the Year 9 Chinese language class have every reason to be pleased with themselves. They wrote and filmed a short film and entered it into the first New Zealand Secondary Schools' Chinese Short Film Competition. With their teacher Mrs Fang they are thrilled to received notification they have won awards and are invited to attend an award ceremony in mid-September where the extent of their success will be revealed! We will report further following this ceremony. The German language department is abuzz with the recent success of one of our students. Elysha Negi (Year 13) has just returned from Germany where she represented New Zealand (together with a student from Christchurch) at the International German Olympiad in Berlin in July. She and was one of 125 students from 64 countries. The Internationale Deutscholympiade has taken place every two years since 2008. The competition, which emerged from national German Olympics in the countries of Central Europe and evolved into Olympic Games on the initiative of the International Association of Teachers of German, gathers the most talented German learners from around the world. Elysha features three times in this short video (8 sec, 1:40 min and 1:48 min) screened at the International German Olympiad. 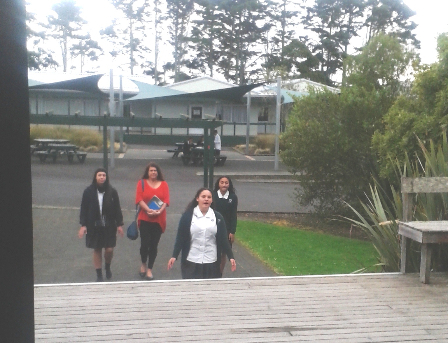 For the first time a Year 11 girl, Melina Samuels, has entered into Nga Manu korero. Melina spoke confidently at the event which was held on Friday 17 June at Te Wananga o Aotearoa. The theme of stereotyping of Maori students came through from a number of speakers. Further details are available from the link below to Maori Television. 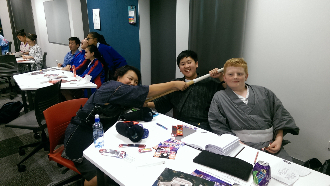 Three Year 9 students (Steven Li, Henry Watson and Martin Zhang) represented Lynfield College at the second New Zealand Schools Japanese Trivia Championships held at AUT on June 17. The Auckland regional event was held in sync with seven other regions throughout New Zealand. Schools competed against others in their own region in a pub quiz style contest, pitting themselves against other teams across five rounds testing their knowledge of Japanese pop culture, daily life, sport, festivals, food and geography. 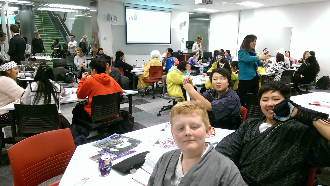 This was a wonderful opportunity for our students to use (and add to) their cultural knowledge together with other passionate students of Japanese they would not normally have the opportunity to meet and mix with and of course having lots of fun while doing so. 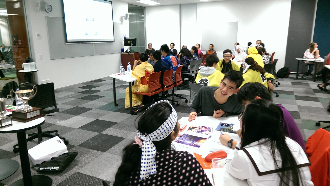 Many students and teachers also took the opportunity to dress up for this special occasion with participants anticipated to be dressed in a variety of outfits such as yukata, cosplay, martial arts, or as ninja and samurai warriors, all adding to a colourful spectacle. The Lynfield team placed 5th equal among 20 other teams and 9th out of 93 teams across New Zealand. The event was initiated in 2015 by Adam Burden, Teacher of Japanese here at Lynfield College and he continued to project manage the event in 2016.